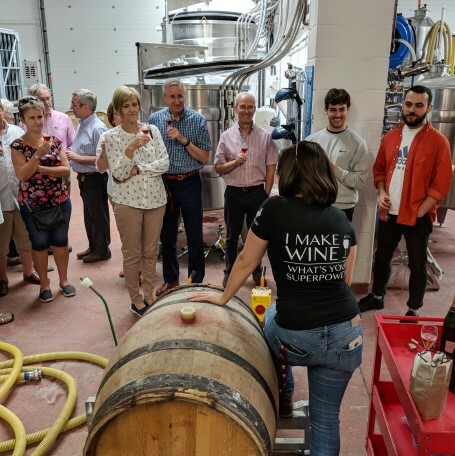 Enjoy English sparkling wine tasting, beer tasting and craft gin tasting with guided tours at the county’s finest wineries, breweries and distilleries. We also stop for a delicious two-course gastropub lunch and take in the beautiful scenery surrounding the ancient capital of Winchester. It’s a feast for the senses! All transport is provided in our luxury mini coach, leaving you to relax and enjoy a great day out with friends, family or loved ones. Grape & Grain Tours are available from March until October (advance bookings only please) and private tours for 10 – 24 guests are available weekdays and weekends year-round. For further information about Grape & Grain Tours, to purchase gift vouchers or to book tour tickets, please visit our website. We look forward to welcoming you aboard soon! Three Joes is a brand new restaurant in the Square next to Winchester Cathedral with a wood-fired oven specialising in sourdough pizza.